Taking a break from sorting through a lot of photos found at my Mum’s (she died last year at 91), I was visiting the blogs of people who had given me a ‘like’ and came across this Haiku. I couldn’t resist putting it up with one of the pictures from the ‘box’. Never saw this scene because I’m in it. Wonder what my Mum was thinking with this in front of her. 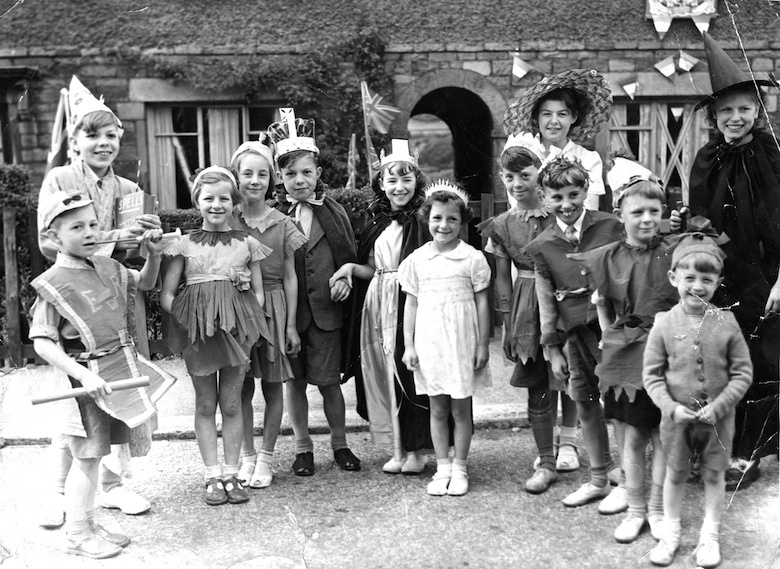 It’s a play we kids wrote for our Coronation street party in 1953. Sadly no sign of the script. Thank you. I tried to find your blog, assuming you have one, but couldn’t so I guess it must be ‘private’. I like the 5-7-5 symmetry.